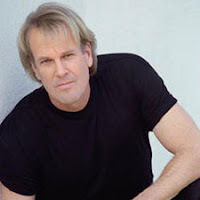 I think we can all agree on one thing: John Tesh has great hair. Go on, take a look for yourself. Seriously, check it out, I'll wait. Thanks for coming back, I know it's difficult to look away from such feathery elegance. But John Tesh (or "Teshy," as he's known on the message boards I frequent) is more than just eye candy and New Age soul medicine. He is a philosopher for our time. If you ever like to kick it old school and tune in your terrestrial radio, you'll likely hear Teshy's voice wafting between Rick Astley and John Mayer on your local Lite FM. That's where the sage professes his "Intelligence For Your Life." And if you can't self-help yourself with this stuff, you might as well head for that icy bridge, George Bailey. Pull over and take a short walk. In a U.S. Army study, 10 minutes of brisk walking helped sleep deprived pilots stay more alert for hours. What else works? Drinking coffee. Obviously pulling over and taking a nap may be the safest option of all. Even just 20 minutes of shut-eye can keep you going for another three hours. A $7 million research grant from the Tesh Foundation For Life Improvement (T-FLI)*, and they figured out that sleeping is a great remedy for tiredness? Who is the target market for this schlock? I suspect it's the same folks who quit their jobs after receiving a very promising e-mail from a disenfranchised Nigerian prince. He'd share his fortune with you if only he had the bus fare to reach his local Afribank ATM. If you need a good laugh, er, wizened truth nugget, head on over here for more. And good news. If you insist on paying for common sense, Teshy's "written" a book filled with all the tips from his radio show. You know, in case you missed "How To Cut String," or "Chewing, The Easy Way."